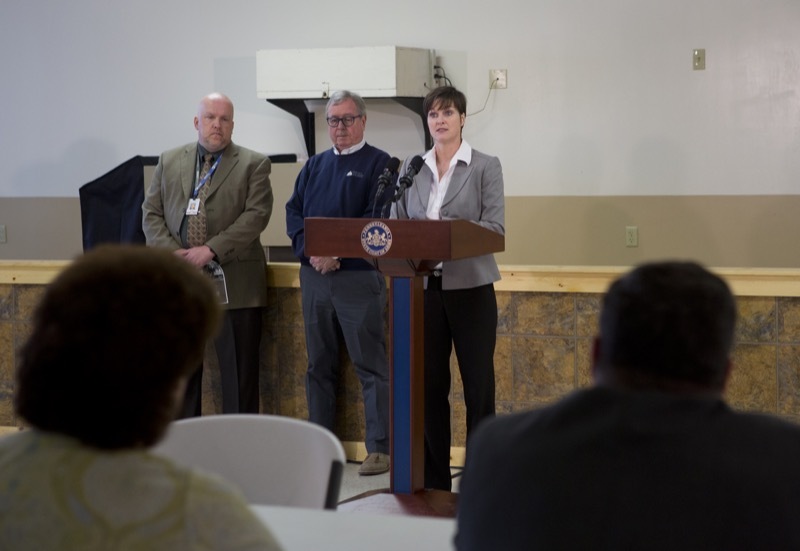 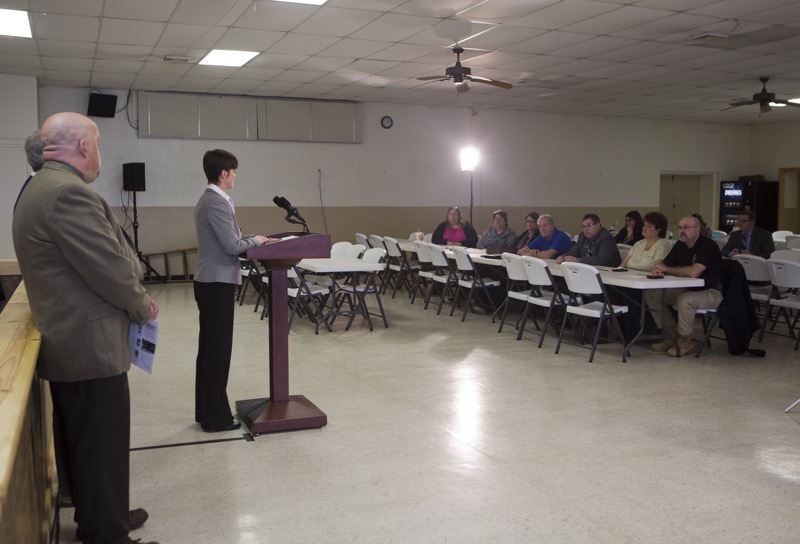 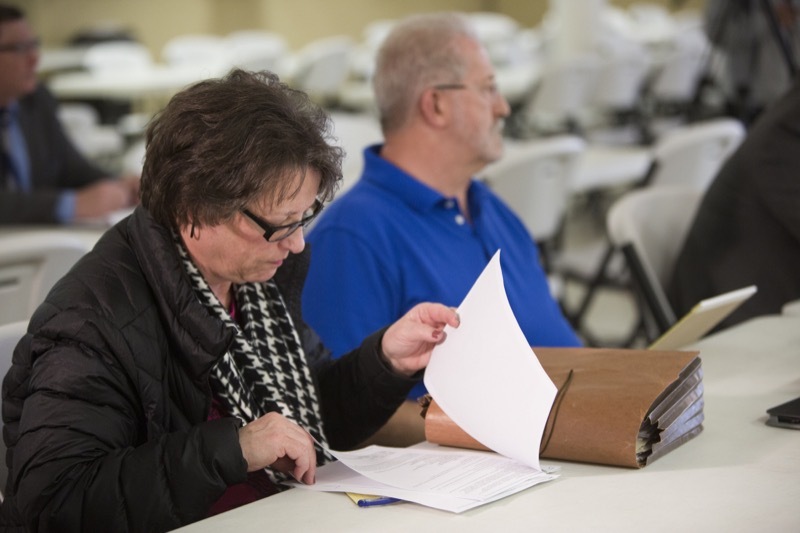 Milesburg, PA - Insurance Commissioner Teresa Miller, Pennsylvania Emergency Management Agency Director of the Bureau of Recovery and Mitigation Steve Bekanich, and State NFIP Coordinator Dan Fitzpatrick of the Department of Community and Economic Development, today presented information on flood insurance and potential grant availability to homeowners in Centre County hard hit by flooding in October 2016. 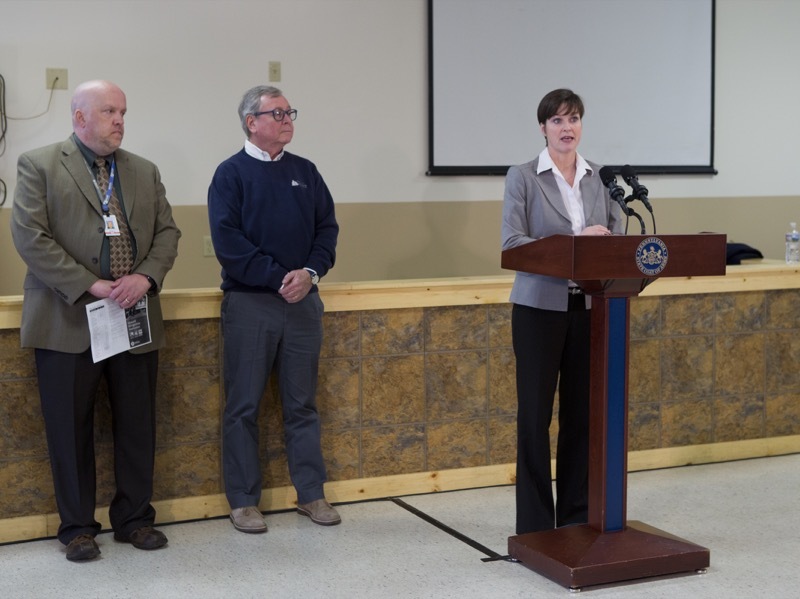 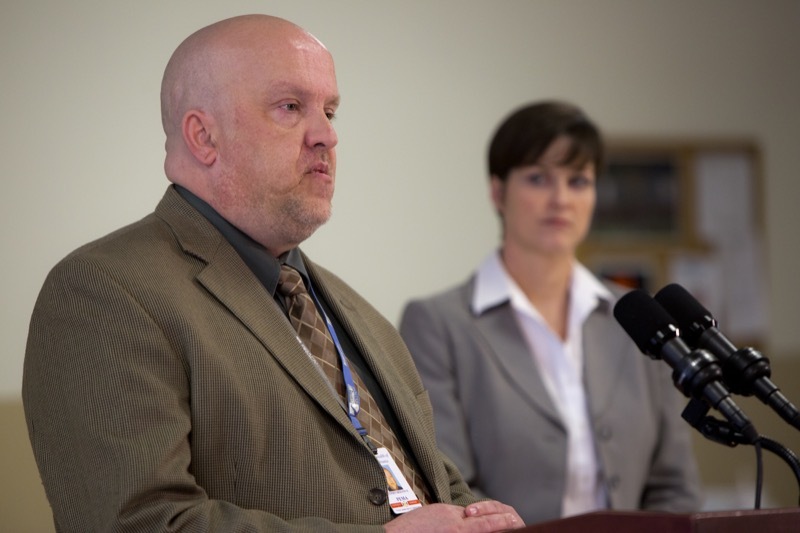 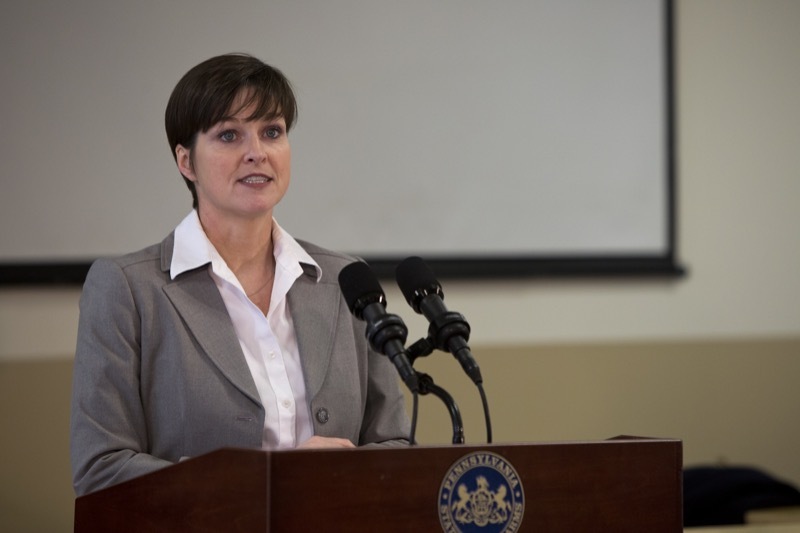 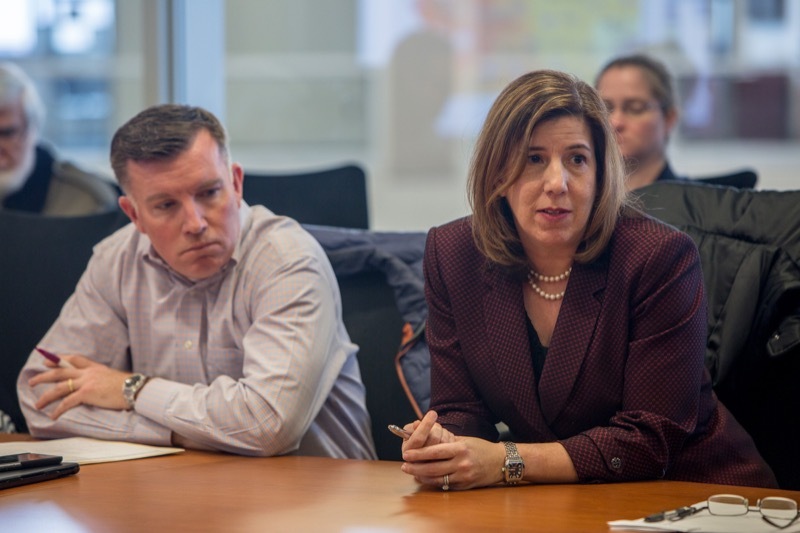 Insurance Commissioner Teresa Miller, Pennsylvania Emergency Management Agency Director of the Bureau of Recovery and Mitigation Steve Bekanich, and State NFIP Coordinator Dan Fitzpatrick of the Department of Community and Economic Development today presented information on flood insurance and potential grant availability to homeowners in Centre County hard hit by flooding in October 2016. 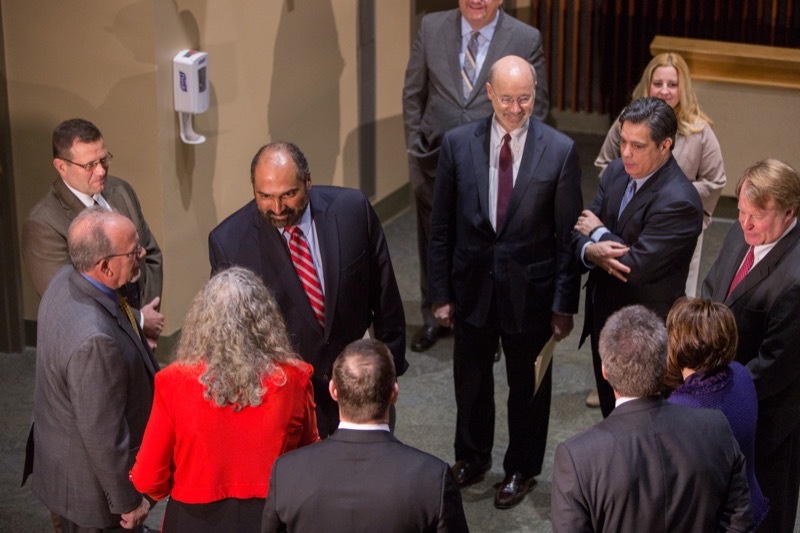 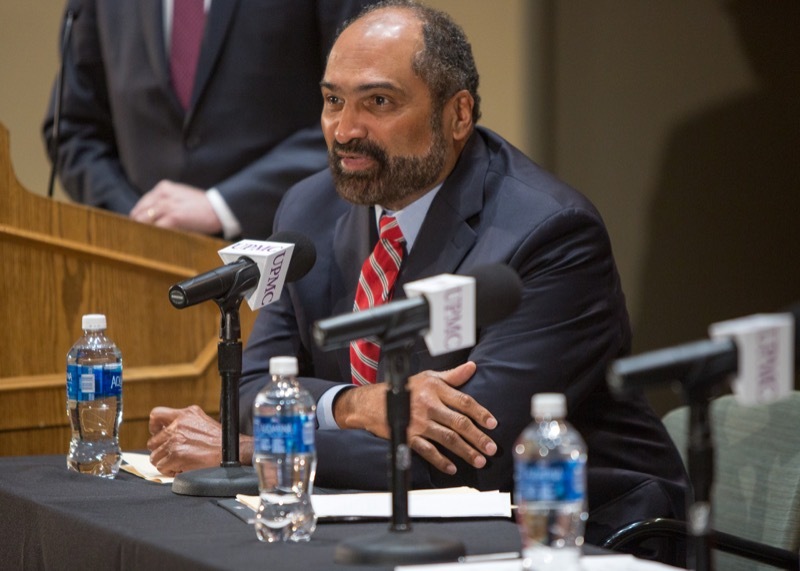 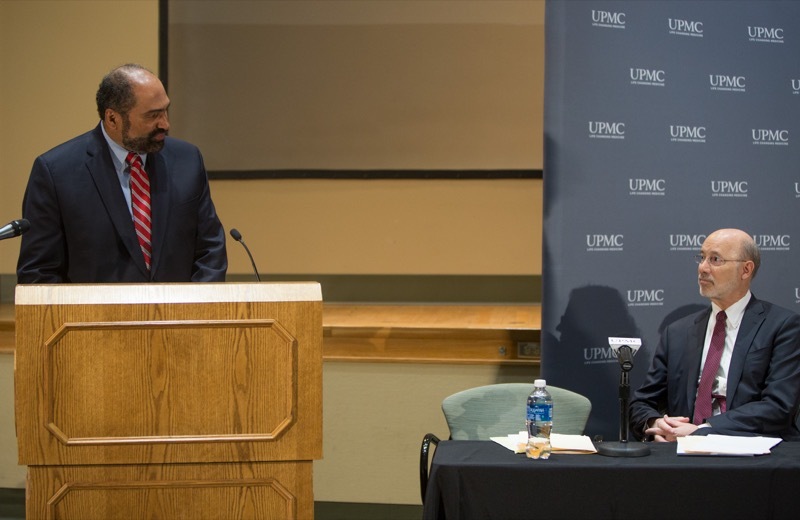 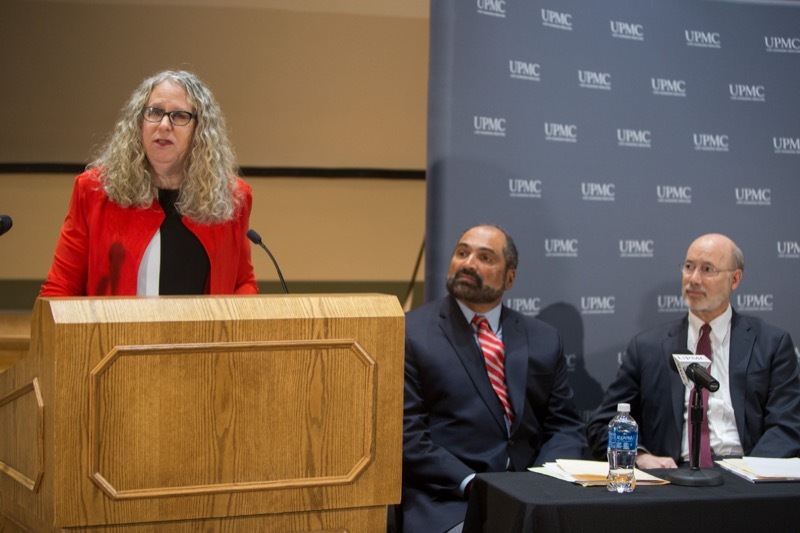 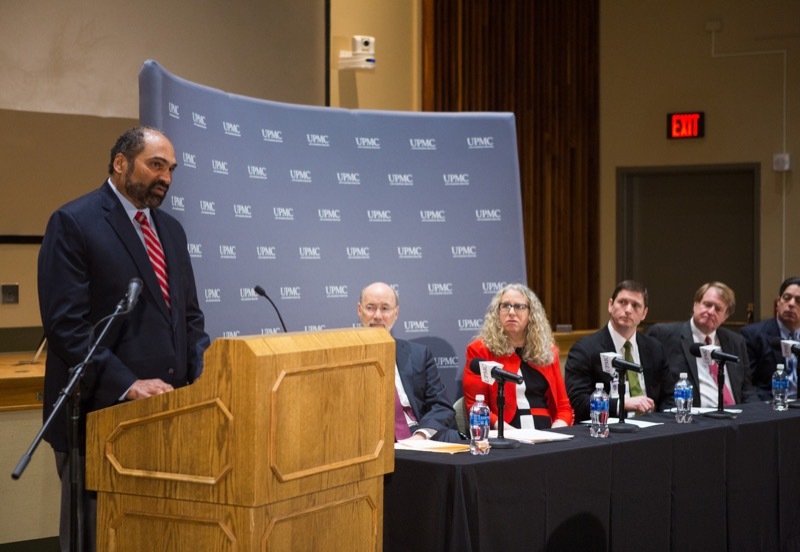 Today, Governor Tom Wolf and former Pittsburgh Steeler Franco Harris, joined state and local leaders at University of Pittsburgh Medical Center (UPMC) Montefiore to announce new prescribing guideline recommendations for the safe and effective use of opioids in orthopedics and sports medicine. 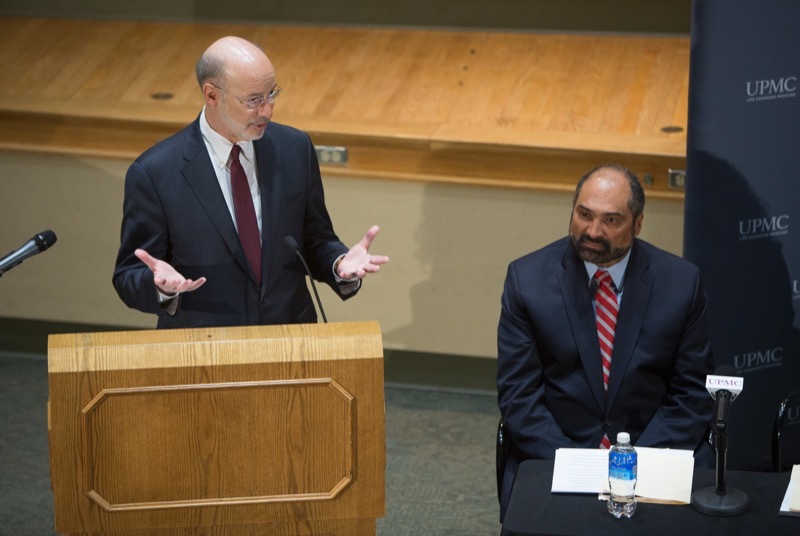 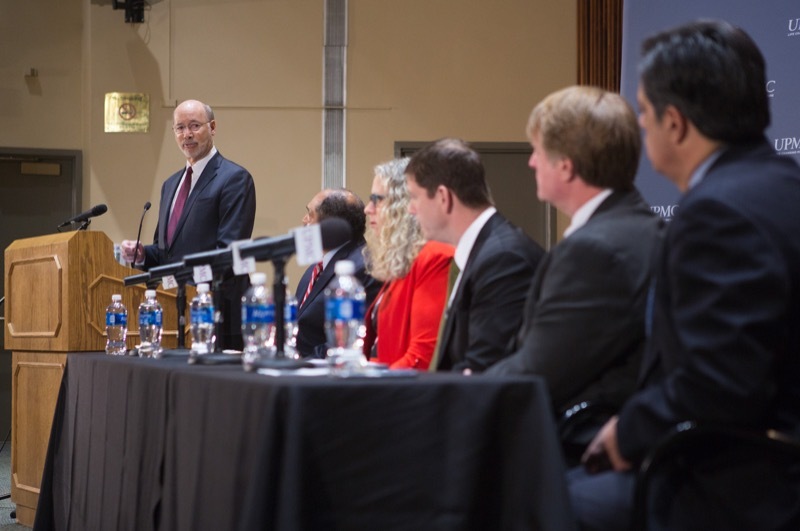 Pittsburgh, PA - Today, Governor Tom Wolf and former Pittsburgh Steeler Franco Harris, joined state and local leaders at University of Pittsburgh Medical Center (UPMC) Montefiore to announce new prescribing guideline recommendations for the safe and effective use of opioids in orthopedics and sports medicine. 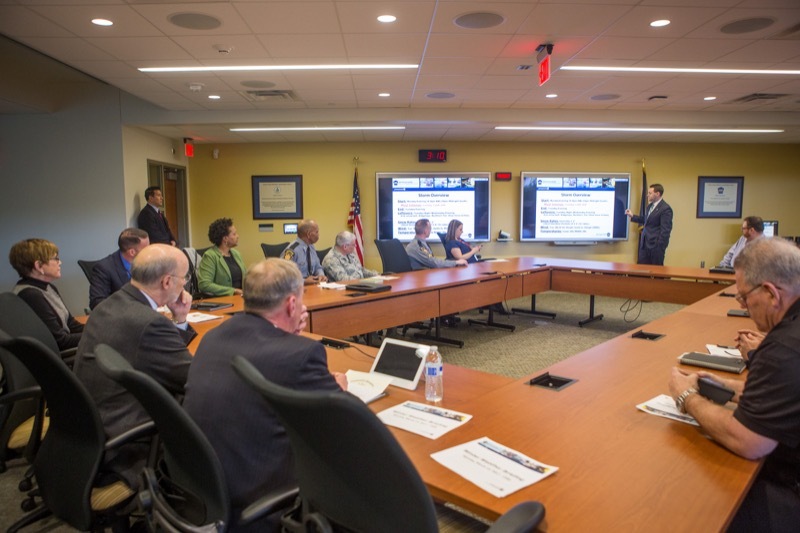 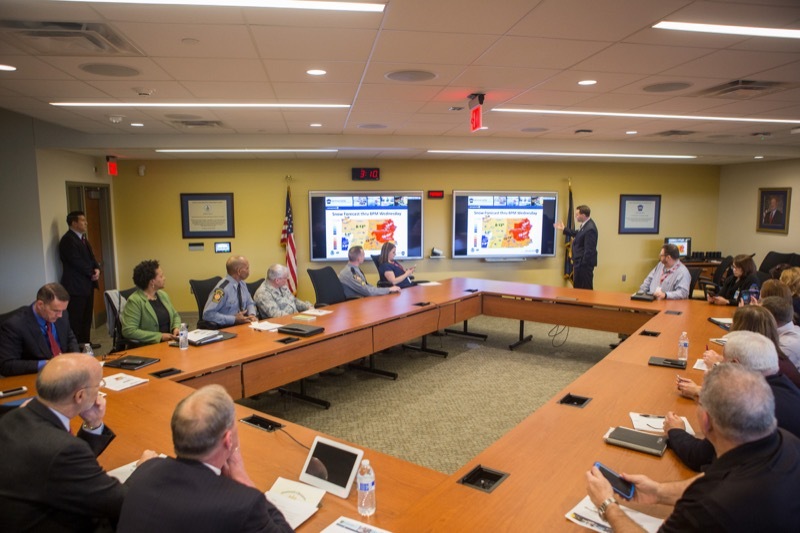 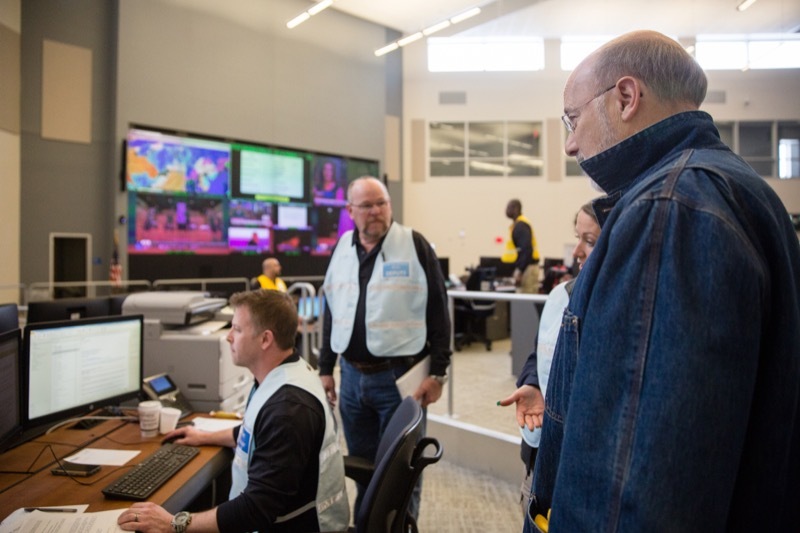 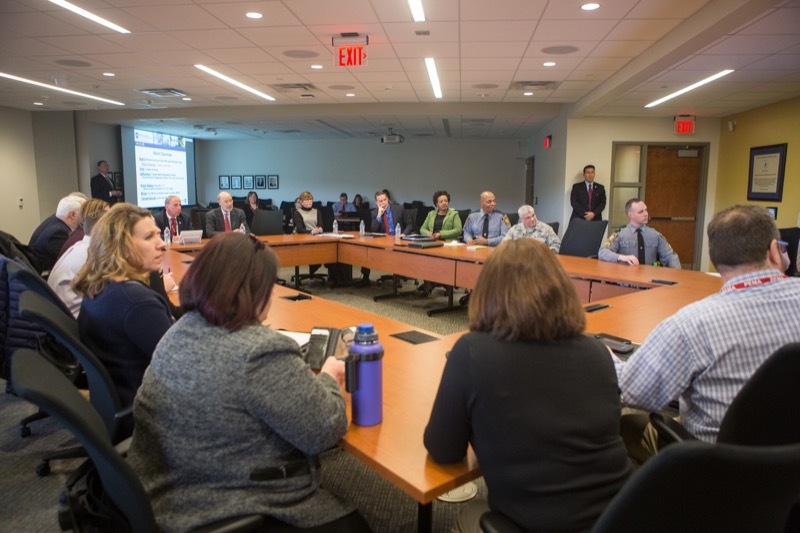 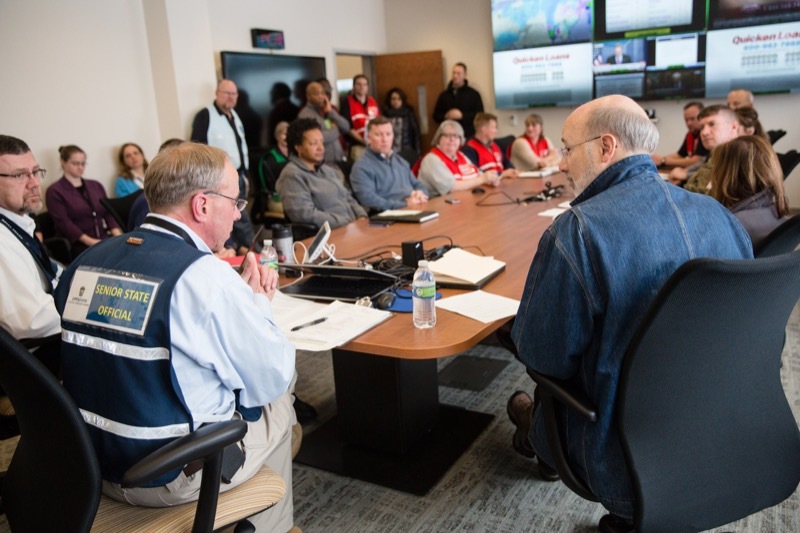 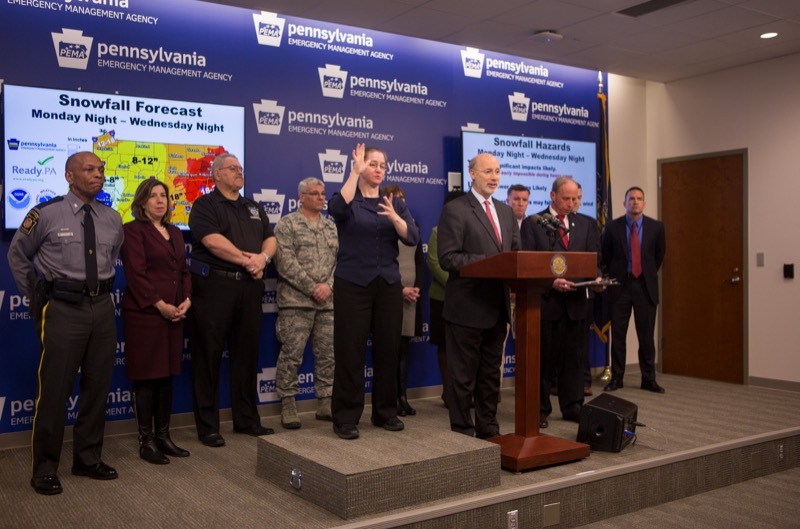 Gov Tom Wolf gives update on winter storm Stella from the Pennsylvania Emergency Management Agency HQ. 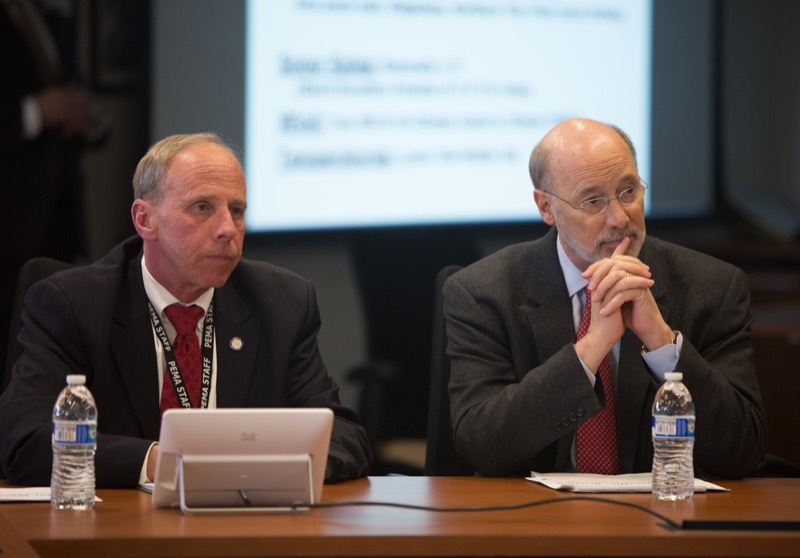 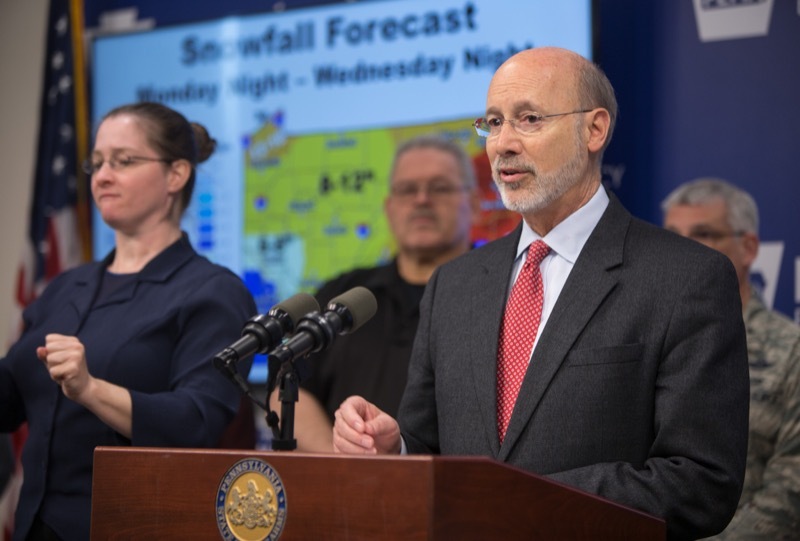 Today, Governor Wolf will provide an update on winter storm Stella from the PEMA headquarters in Harrisburg. 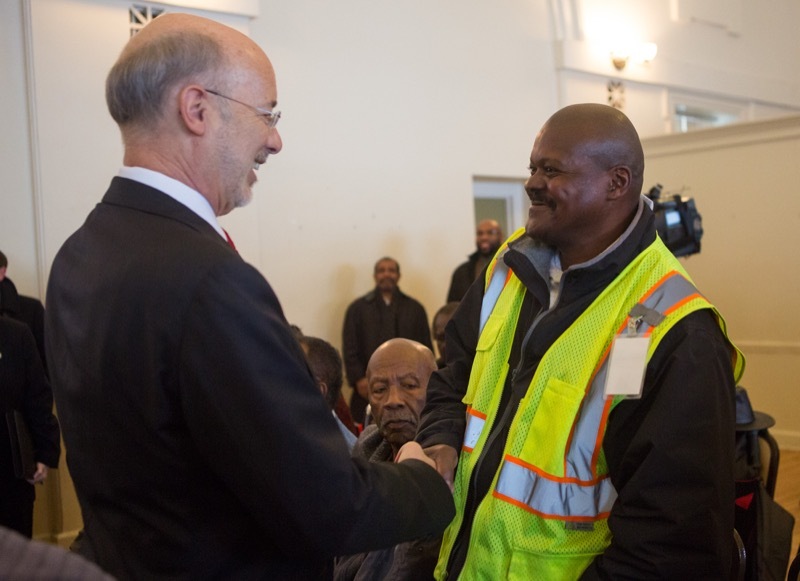 After the update, the governor will stop by the District 8 salt shed to meet PennDOT workers and thank them for their work. 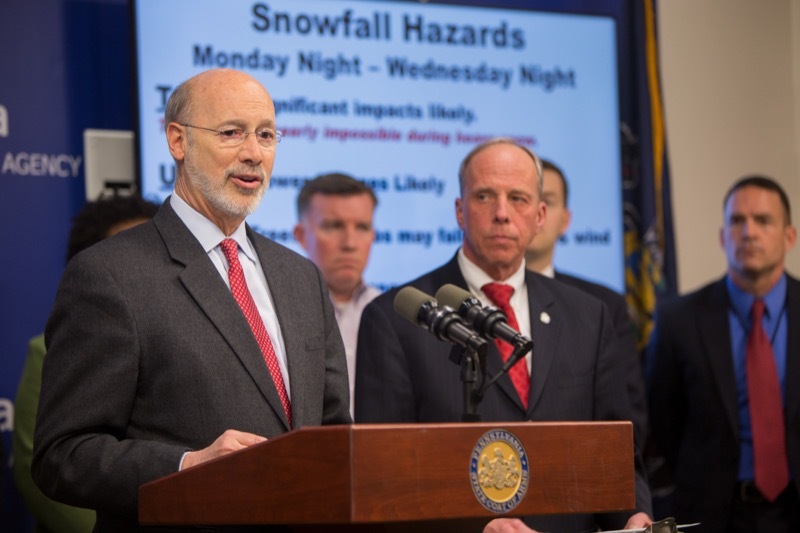 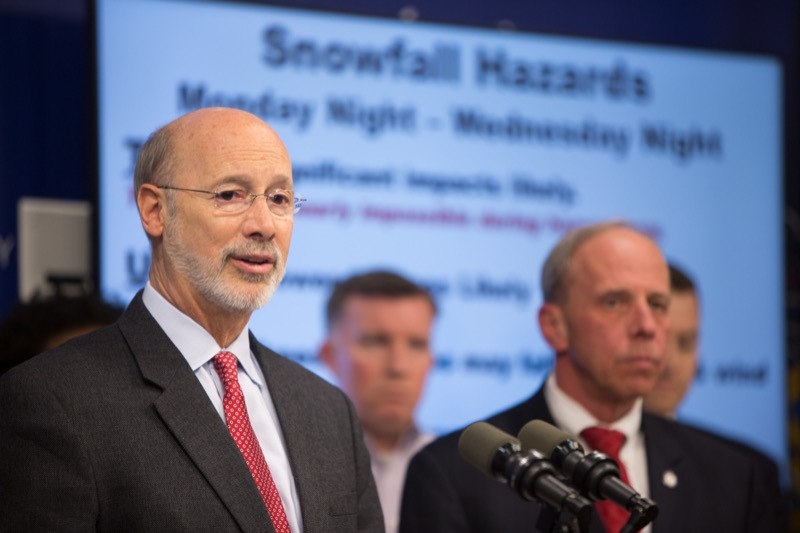 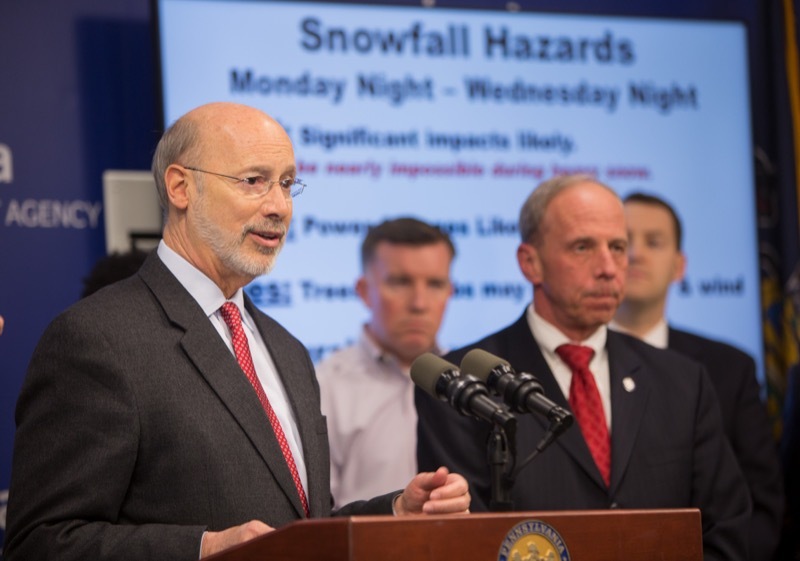 Governor Tom Wolf today signed a Proclamation of Disaster Emergency in anticipation of a significant winter snowstorm that will impact the state starting Monday evening through late Tuesday, and announced PennDOT and the Turnpike will restrict speeds on interstates and some large commercial vehicular travel. 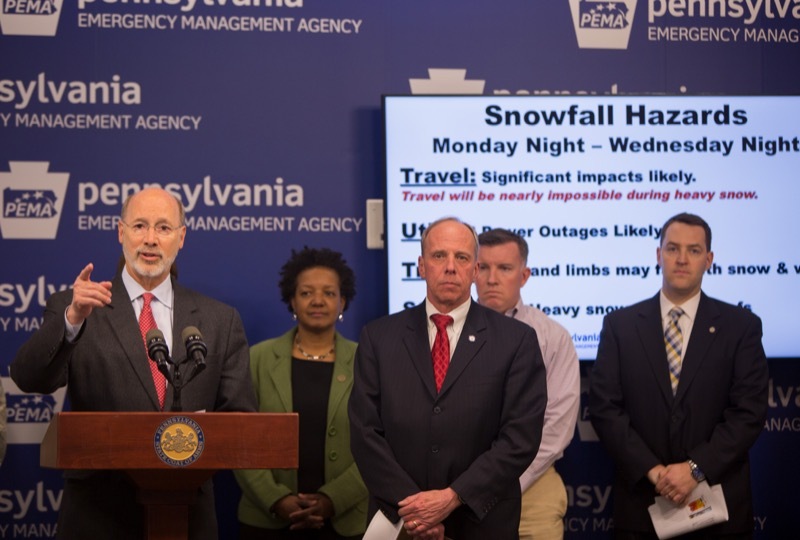 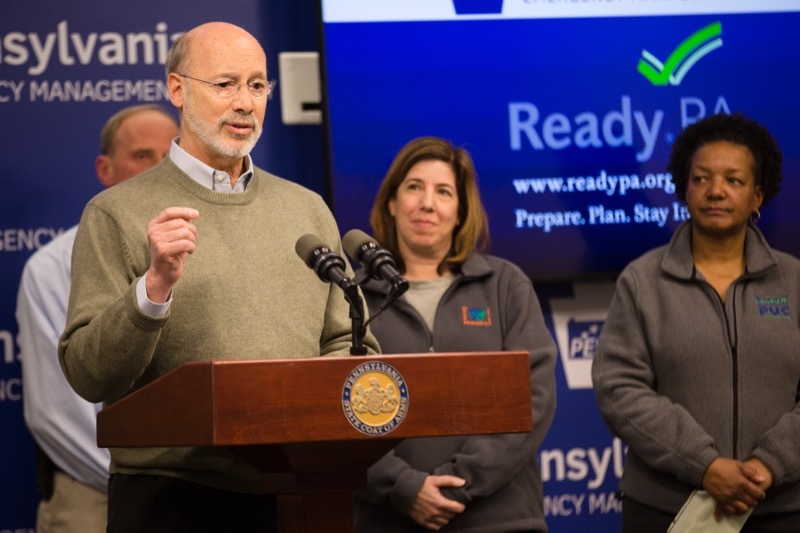 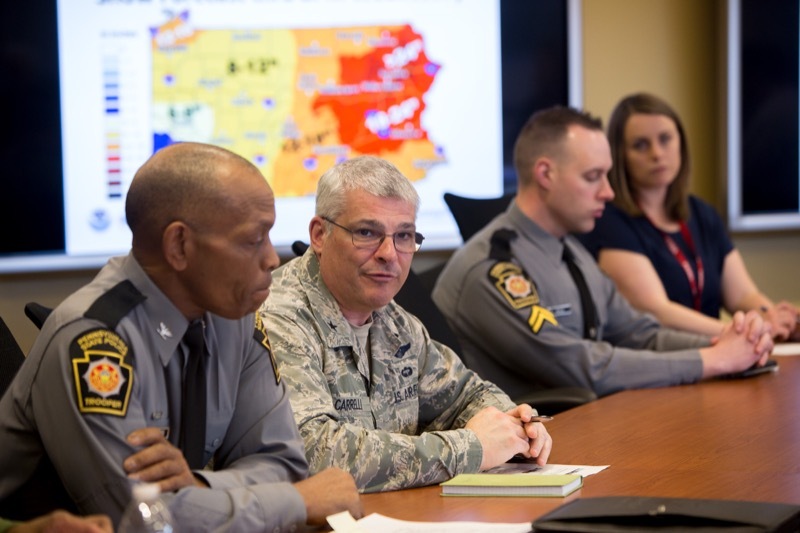 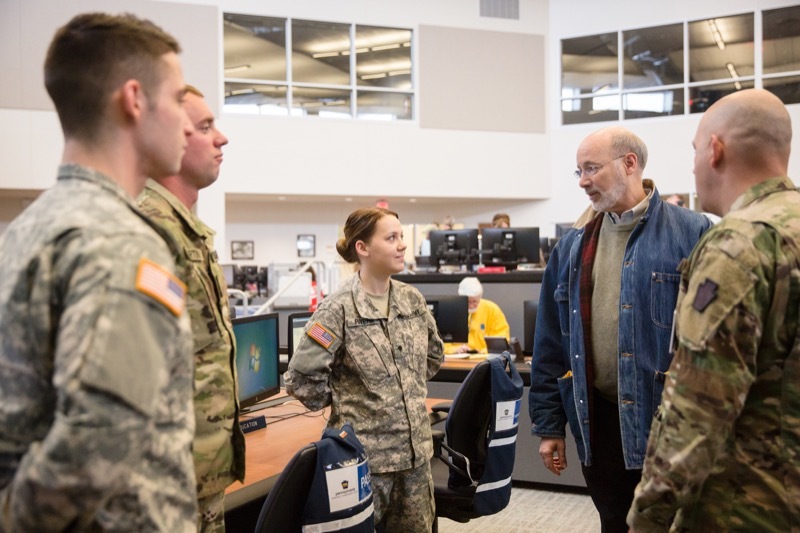 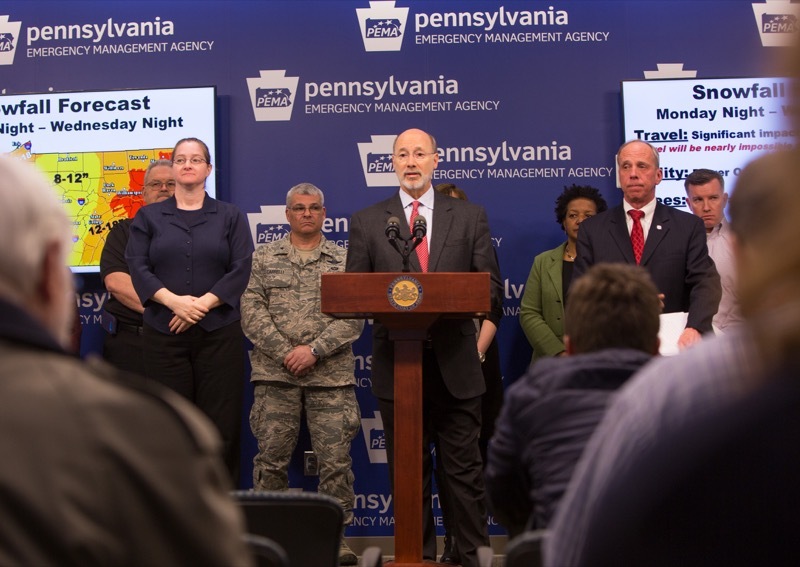 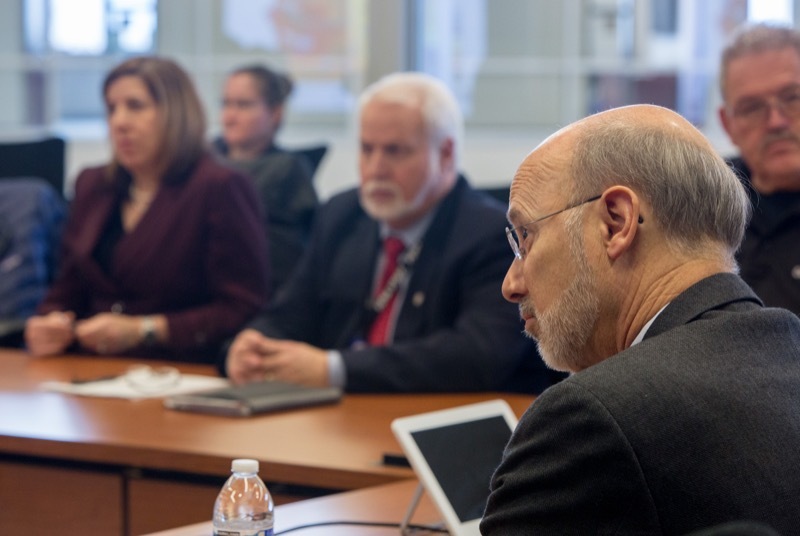 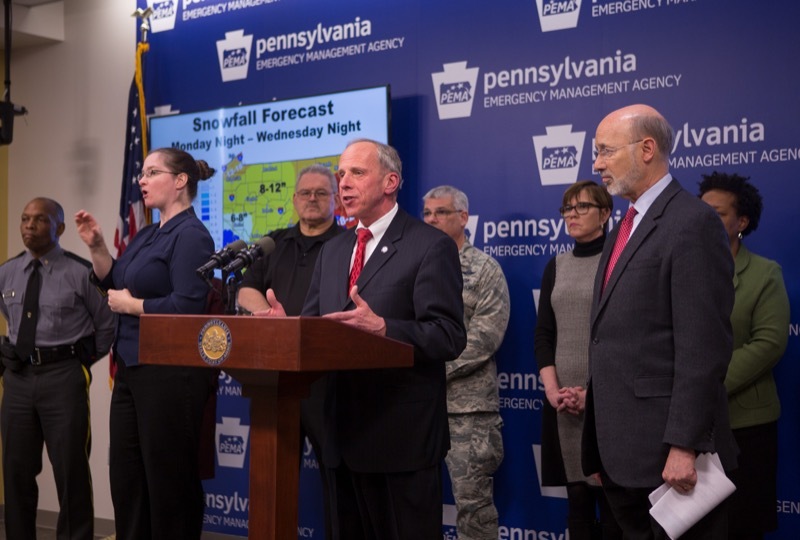 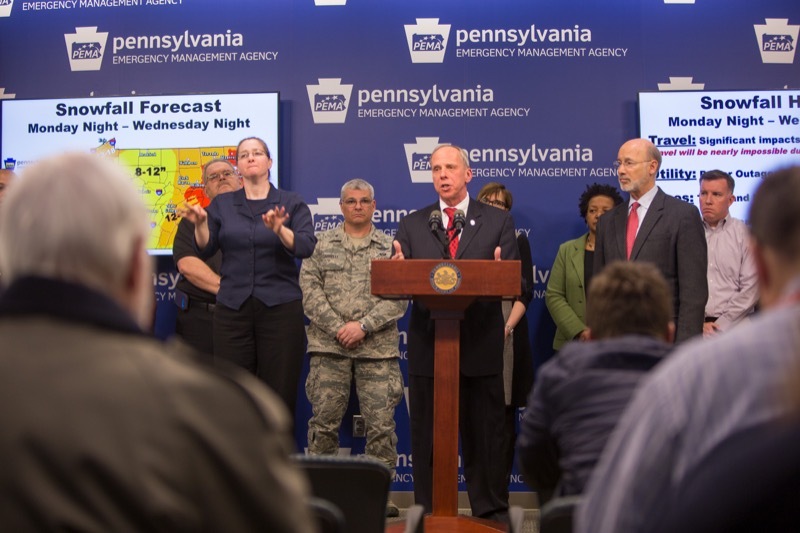 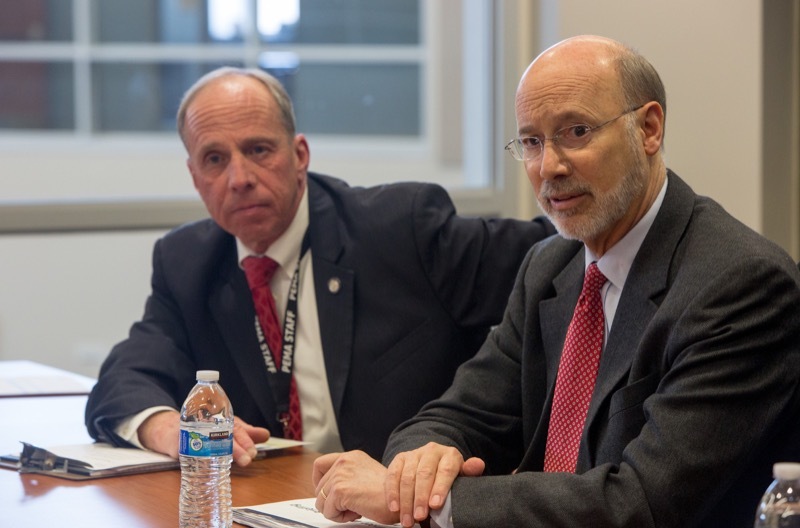 Governor Wolf also announced that PennDOT will strategically deploy additional assets to areas expected to be hardest hit by the storm, including the Northeast, Poconos and Lehigh Valley. 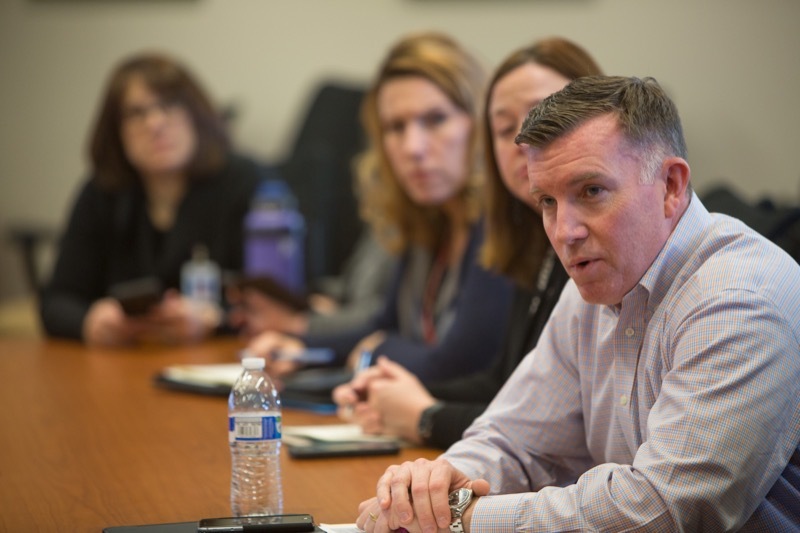 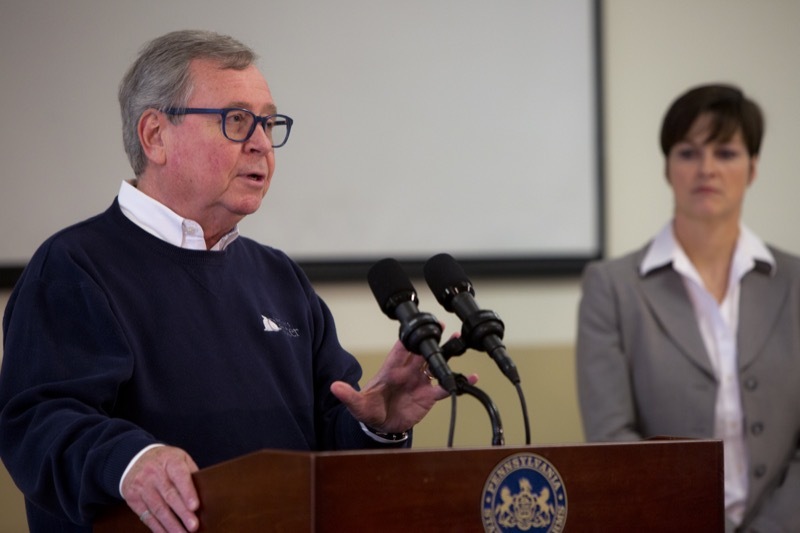 No one wants to think about the family dog getting lost, but in the event that does happen, a dog license is the best way to make sure your furry friend gets home safely, according to Pennsylvania Agriculture Secretary Russell Redding. 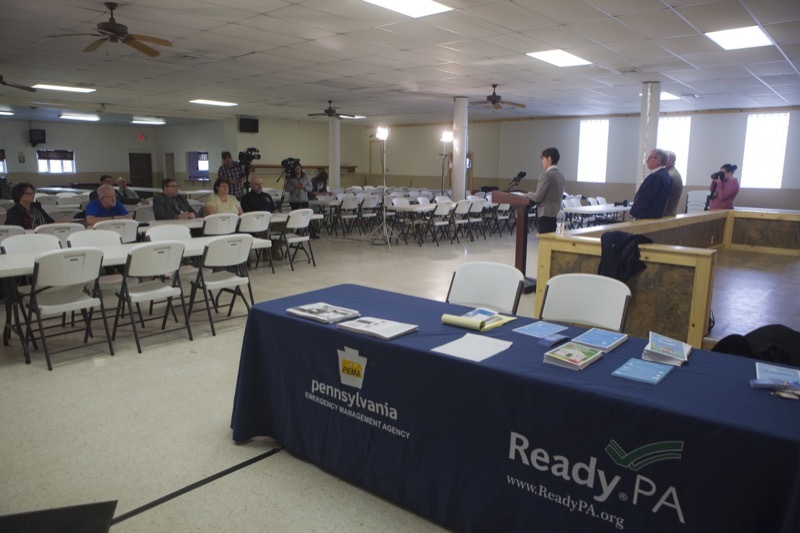 Johnstown, PA - No one wants to think about the family dog getting lost, but in the event that does happen, a dog license is the best way to make sure your furry friend gets home safely, according to Pennsylvania Agriculture Secretary Russell Redding. 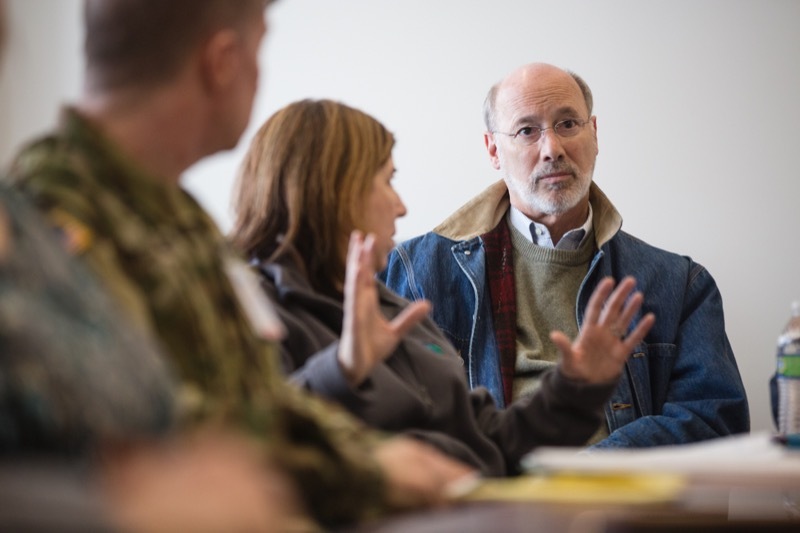 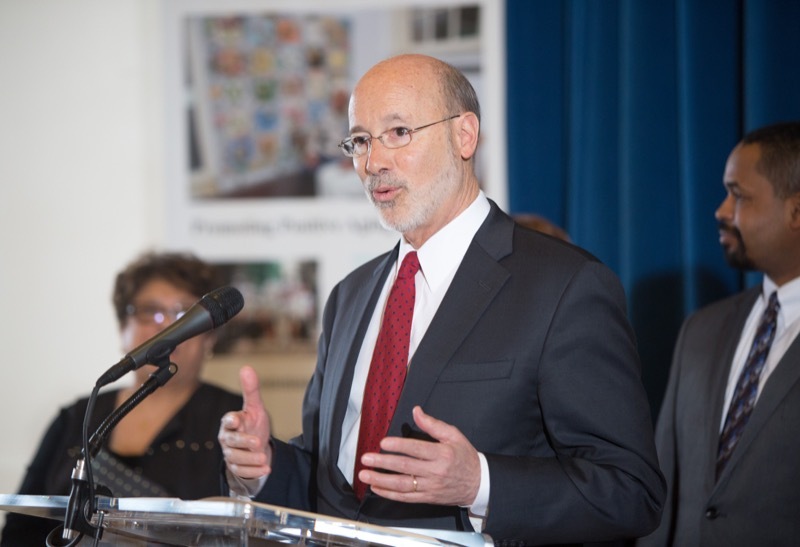 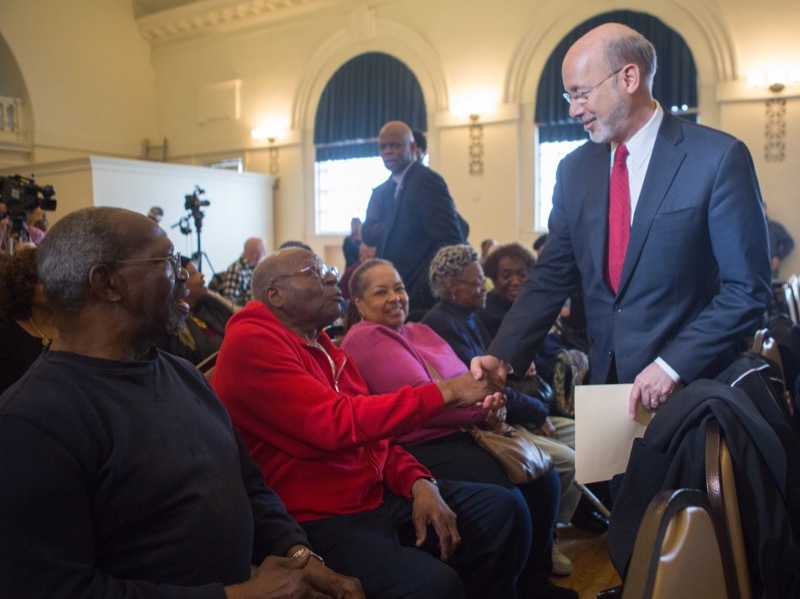 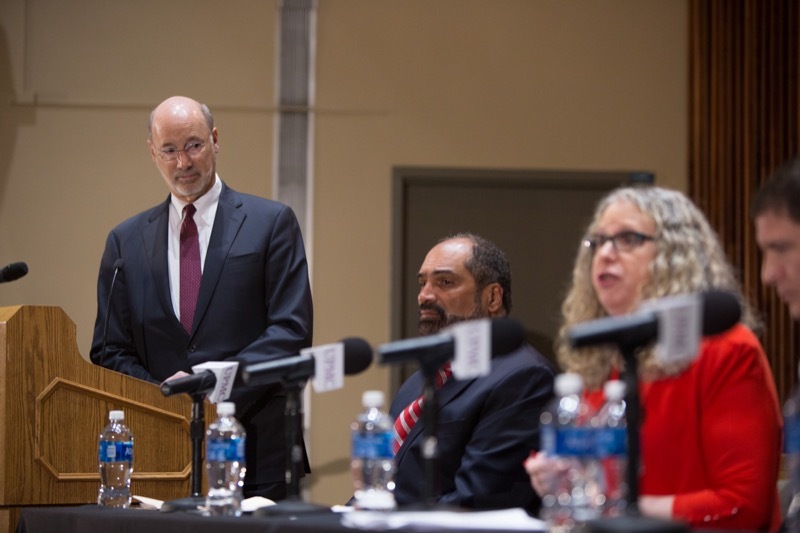 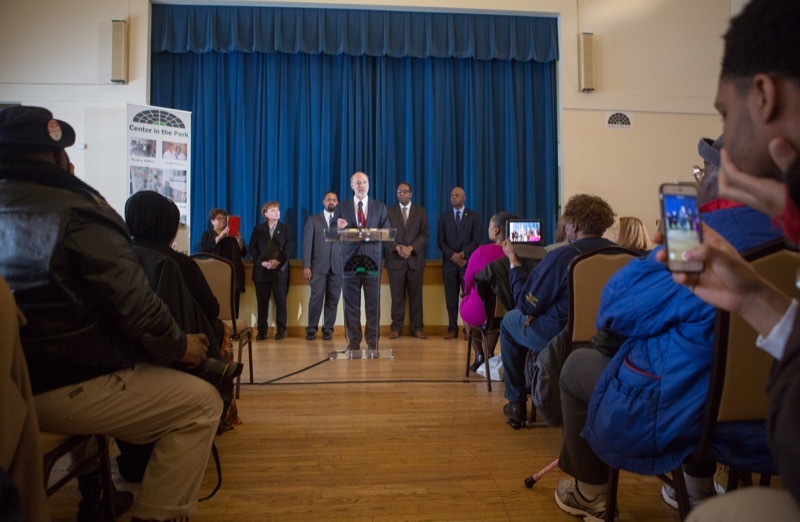 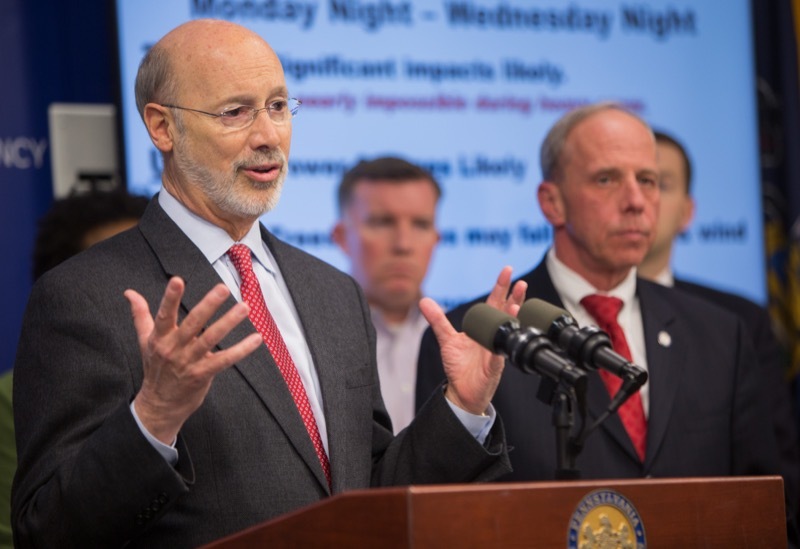 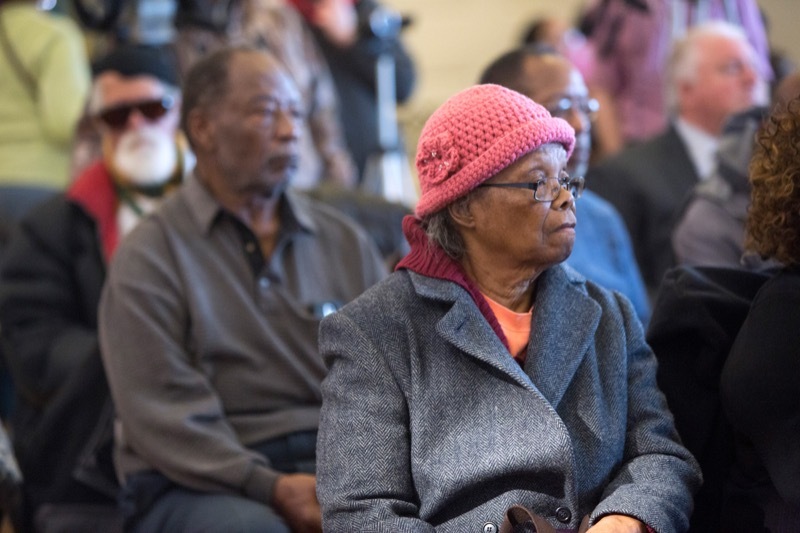 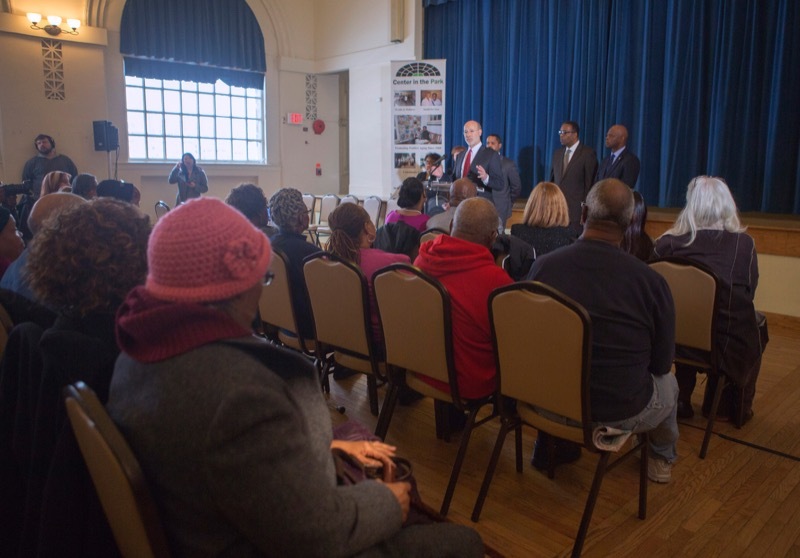 Today in Philadelphia, Governor Tom Wolf and Secretary of Aging Teresa Osborne discussed the negative effect the recently revealed Republican healthcare plan would have on Pennsylvania's seniors. 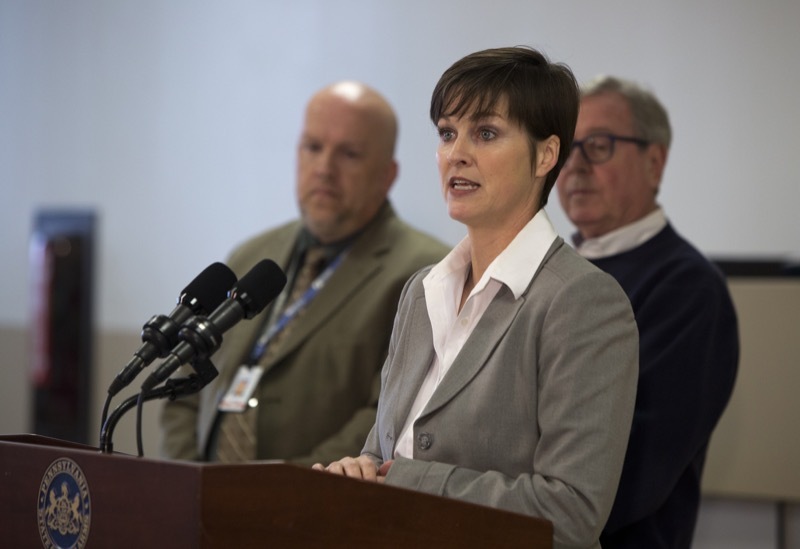 Attorney General Josh Shapiro announced today that child predator agents in the Attorney General's office arrested Anthony C. Luciani and charged him with sexual offenses committed against a 14-year-old-girl. 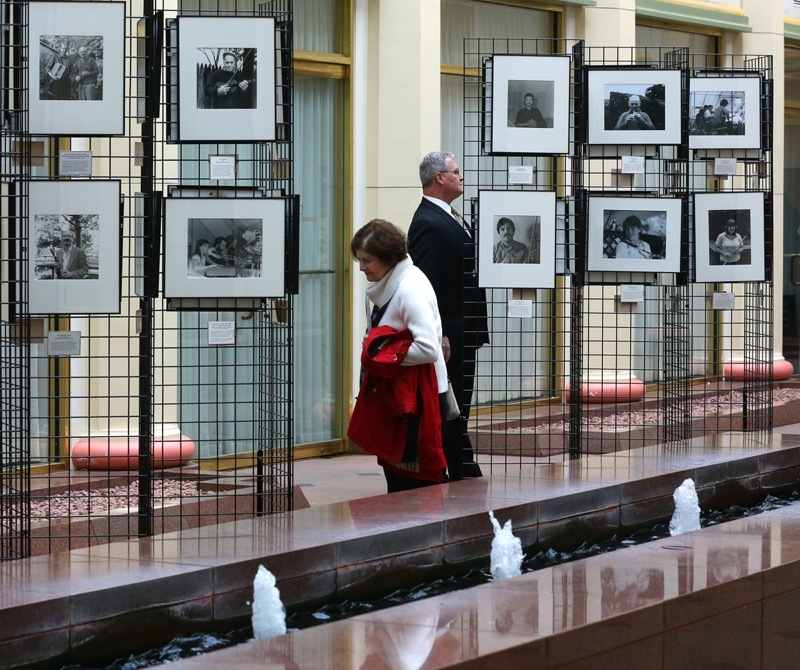 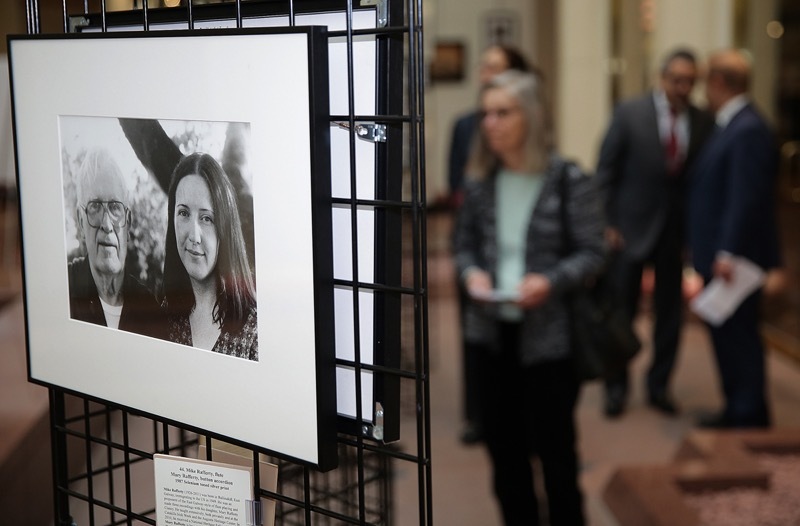 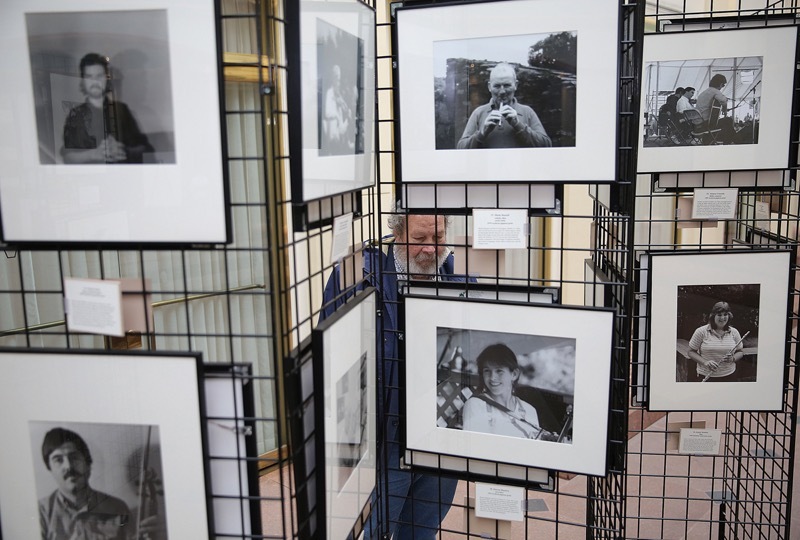 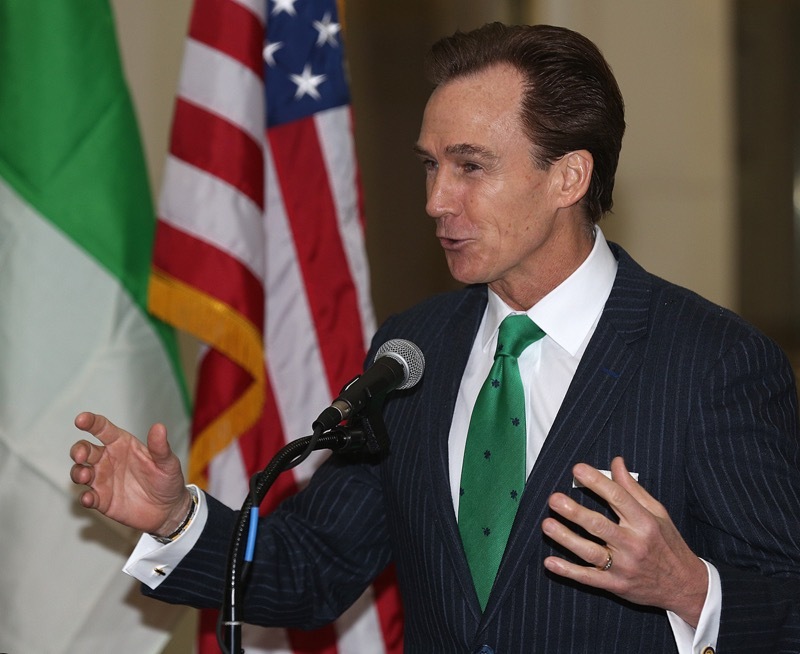 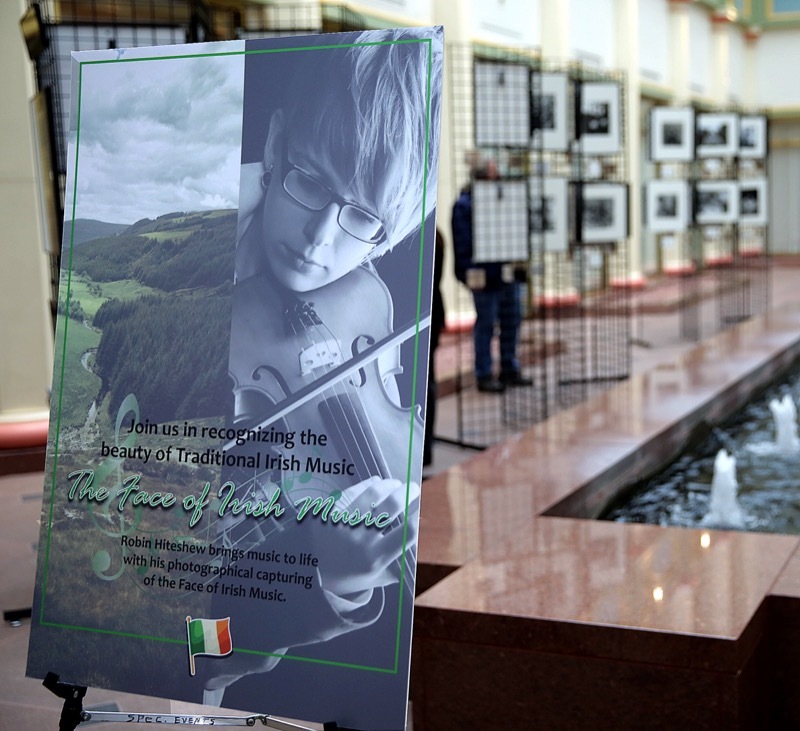 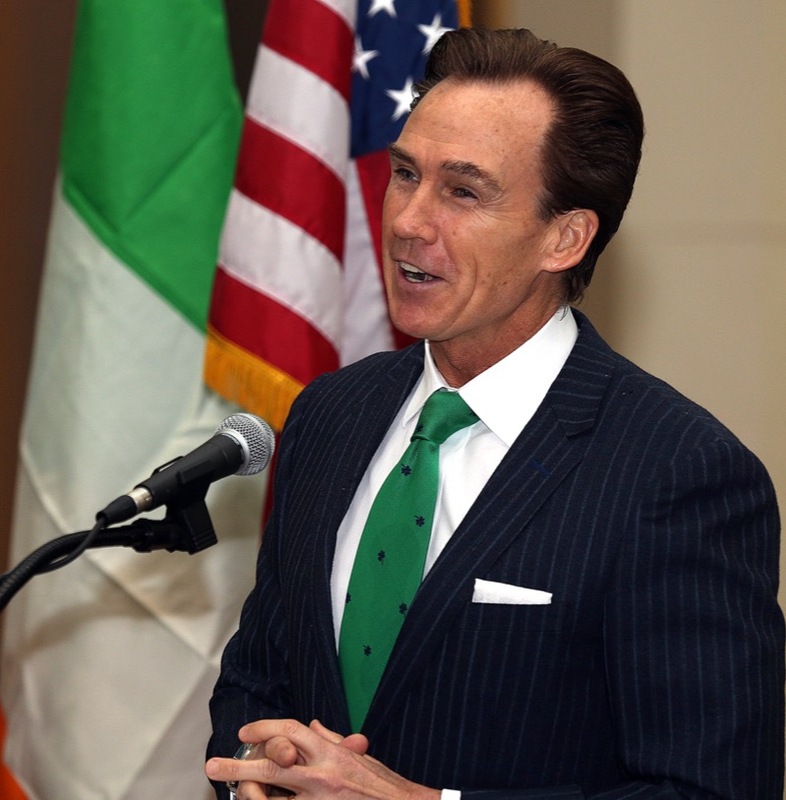 HARRISBURG - Lieutenant Governor Mike Stack was host for an observance of Irish culture and heritage in the state Capitol today as he welcomed photographer Robin Hiteshew of Philadelphia, whose photographic exhibit of Irish musicians is currently on display in the East Wing atrium. 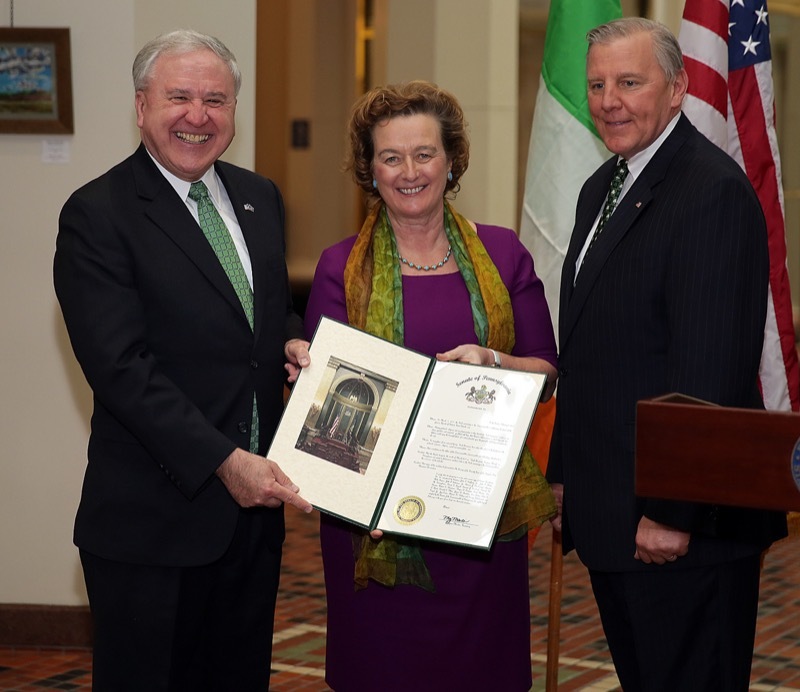 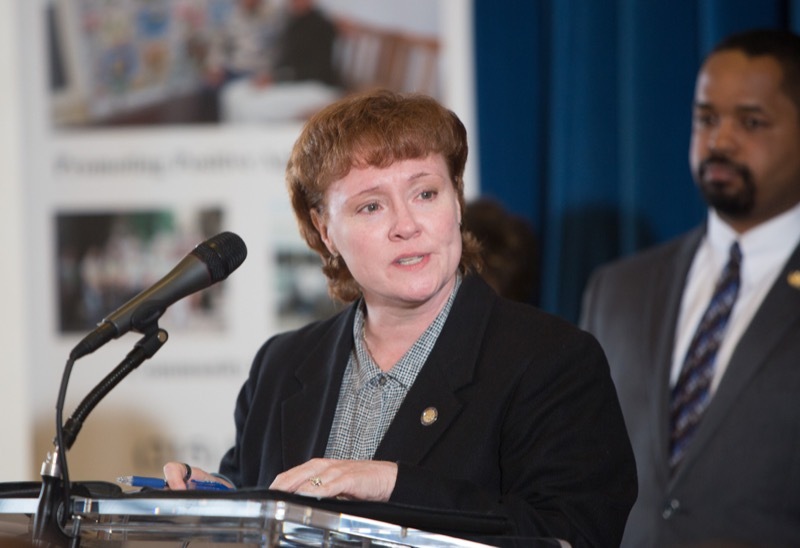 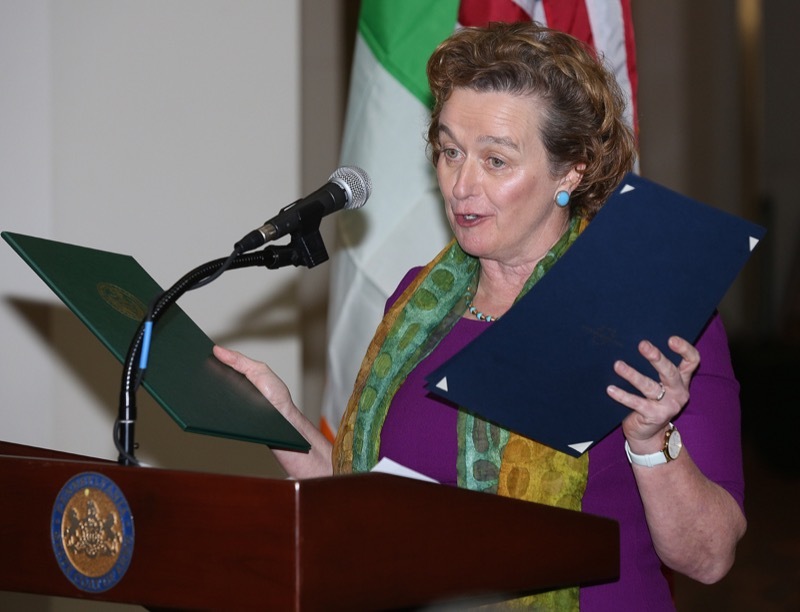 Barbara Jones, the Consul General of Ireland posted in New York, was also on hand, along with Pennsylvania Secretary of State Pedro Cortes and several legislators.